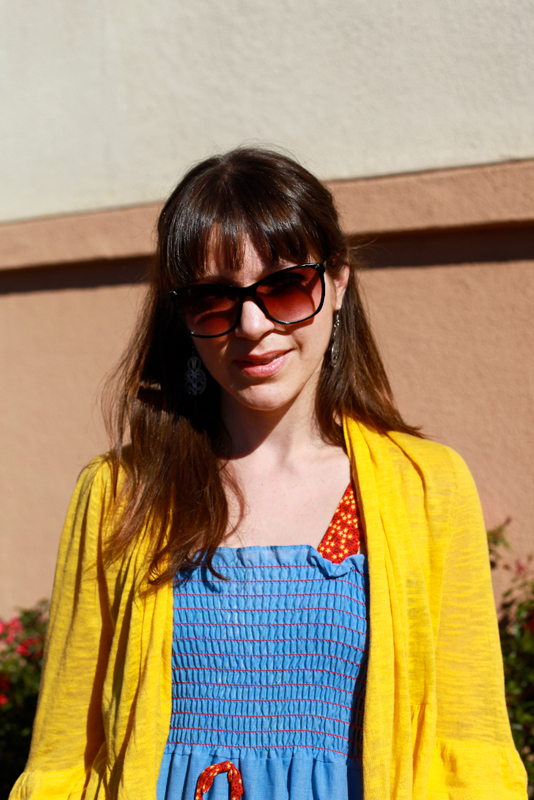 "Pretty much what inspires me is really well-made clothes, vintage clothing. Lately I've been in the 60s, but I like 1950s, 1940s. 1939 is my favorite year. So, I like things that are well-made and most of those clothes are." I love the pairing of bright colors. The detail of colorful bangles. 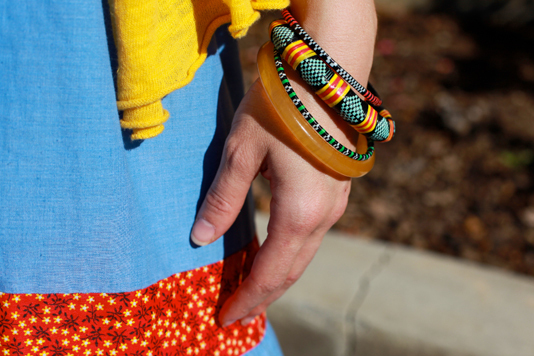 This is the first hint of what is to come in the spring, you watch - "African" and "ethnic" inspired jewelry and fabrics will rule the streets. A look at her very '40s silhouette peep toes.